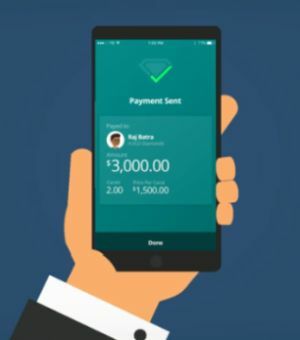 RAPAPORT... An Israeli start-up is set to receive up to $1.2 million from investors to launch a mobile payment app that will help diamond traders close deals on the spot, without needing to wait for funds to clear. Mazalit will enable users to finalize payment in under 10 seconds, with about 90% lower fees than most dealers currently have to pay when wiring money across borders, its founder and CEO Ze’ev Maimon told Rapaport News Monday. The Ramat Gan-based company’s lead investment for this funding round has come from diamond logistics firm Malca Amit, with additional backing from Ari Wolff, formerly of polished manufacturer Leo Schachter. The start-up is talking to potential investors who may provide further financial input. It plans to bring the app to the market in early 2018. Maimon founded the company last year together with chief technology officer Ben Yaniv Chechik, a co-founder of money-transfer group Payoneer.